My herbs and spice rack was running low on product. That meant it was time for some replenishment. With the temperatures getting chillier, there will be pumpkin soup, sweet potato soup, apple cobbler, blackberry cobbler, gingerbread loaves, and helpless gingerbread people who will never escape the vice of my pretty teeth. You simply cannot have any of that without some cinnamon, nutmeg, cloves, cardamom, ginger, allspice, and other spices. I know you’re saying, “So what?” Well, your inquiry is a good segue into my story. In Oak Park, Illinois, there is a spice shop by the name of Penzey’s. It’s the equivalent of a chef’s candy store. Unlike the products you will find on the spice aisles at your big box grocery store, the products at Penzey’s have pizzazz for your recipes. Everything pops when you add a bit of Penzey’s to your ingredients. After spending almost an hour in Penzey’s and purchasing more than I had anticipated — why didn’t someone tell me that saffron was so blooming EXPENSIVE? — I did a little skippy-do-da across the street to Mancini’s for some Italian smile-inducing menu items. For years I had been intending to go to Mancini’s and there was a moment in time when it had closed. Then it opened again in a new location at 1111 Lake Street. There was no reason for me to have several more years pass before seeing if they were worthy. In usual metropolitan Chicago fashion, the temperatures had waffled towards being warmer. 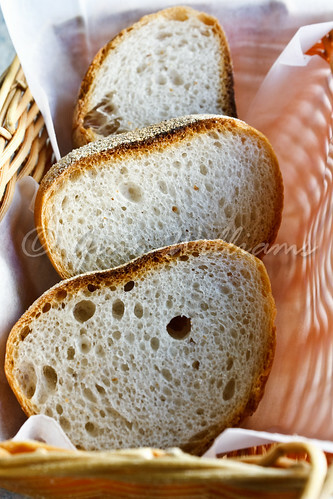 So, I sat outside and gobbled a loaf of homemade Italian bread with olive oil and parmesan cheese while scanning the menu. 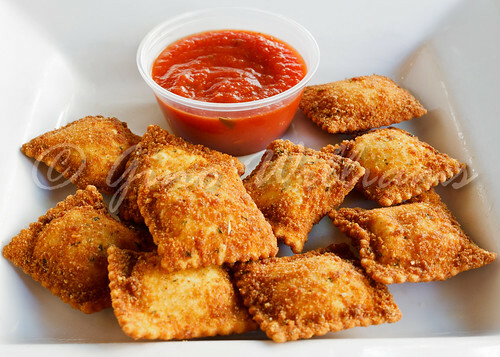 Ah, I had decided that I would mess up my diet briefly by indulging some fried cheese ravioli. I didn’t go wrong with the order. I haven’t had any fried ravioli that I have not fallen in love with and Mancini’s now ranks up there with restaurants that get it correct. Any time I think of fried menu items, I am reminded of the Texas State Fair and the murderous deep-fried what-not things they sell — fried Twinkies, fried Snickers, double fried turkey legs, fried shrimp and grits, fried spaghetti and meatballs, fried collard greens, fried Kool Aid, fried candy apples, fried cheese, fried macaroni and cheese, fried Krispy Kreme doughnuts, and countless other fried baddies that make you want to run through oncoming traffic. My cholesterol and blood pressure skyrocket thinking about it all. I am not making this up either. To balance out indulging eight, small fried ravioli with some incredibly flavourful marinara sauce — didn’t taste like it came out of a jar, and the tomatoes were much too chunky to convince me otherwise — I had a green salad. No Thousand Island dressing. No ranch. No Caesar dressing. 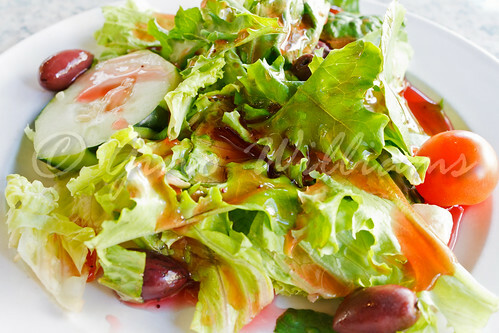 I had a raspberry vinaigrette. I had a stupid smile on my face afterwards. I had told my server that I did not want any nuts on the salad because that is a sure way of having my salad tossed on the ground. (Pause) Okay, I’m not that petty. But the salad sans the nuts and with the raspberry vinaigrette would have been enough to convince me that feasting on rabbit food is an option that would appeal to my discriminating palate. Rabbit food is like ambrosia when served with a raspberry vinaigrette. It was clear that Mancini’s was not a rustic Italian eatery. 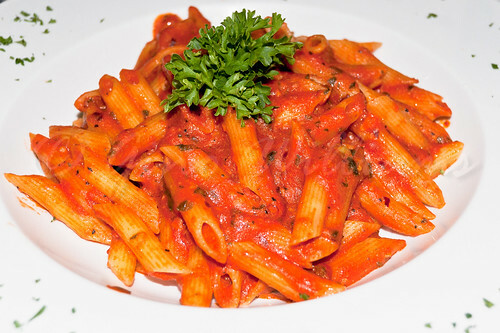 Most of the pasta dishes had a red sauce base to them. And considering they are popular for their pizza, I guess tomato based sauces would be more popular as well. There was nothing wrong with that. It was quite evident that they do best with tomato bases because the shrimp fra diavolo reminded me of the “I need a cigarette STAT” arrabbiata dishes I have had. There was a spicy punch to the shrimp fra diavolo that made it more than worth the order. The abundant shrimp burst as I bit through the plump figures. 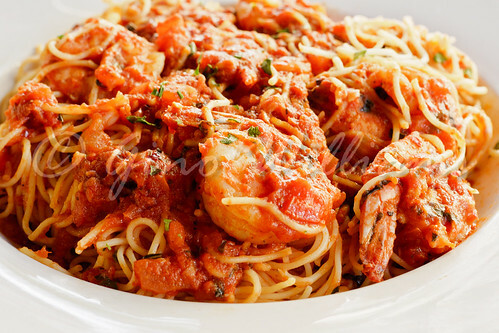 A few words to describe the shrimp fra diavolo: angry, fresh, mandatory, much-needed, blissful, and Oh my God, I must have some more of this. By the time I had finished all of the food that had been set in front of me, I needed about fifteen minutes of sitting still to let it all go down. There was dessert to be had. I wasn’t leaving without having any. No way. No how. No tiramisu. No canolli. I had homemade gelato. My eyes rolled, and I don’t mean that in a bad way either. Scooping stracciatella, nocciola, dark chocolate sorbet, and banana with the miniature spatula, there was a brief blanking out as I think I had leapt out of my seat and performed some kind of dance without knowing I was out of my head. That had to have been it because people were looking at me and clapping. I keep saying that I need to seek therapy for the blackout moments, but I often find myself making plans to go to some other eatery rather than finding a proper therapist. The visit to Mancini’s was long overdue. I think part of my delay had been due to the fact that it’s known for being a popular pizzeria. I am not big on having pizza from any place that isn’t a hole in the wall. Chicago has some big box style restaurants that sell pizza and I find myself smiling a plastic smile when gnawing endlessly on cheese in the like manner of chewing a huge wad of gum. You don’t suffer through your pizza dining experience like that at the suspicious pizza shacks. I am glad that I ordered from the pasta offerings. My server was outstanding with recommendations and being able to say absolutely that the shrimp fra diavolo was their best pasta dish. There was no waffling and remarks of, “Well, I like everything.” That kind of decisiveness is very Italian and I like that. 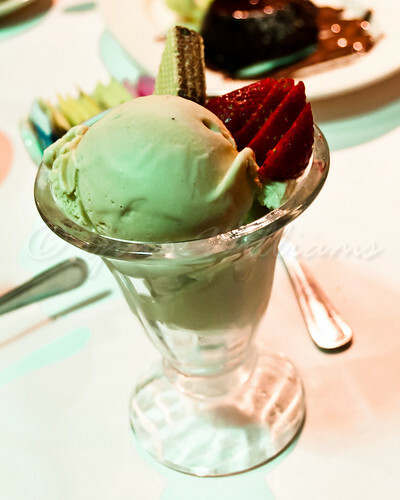 She was just as direct with convincing me that I wanted some gelato and suggesting flavours that would go over well. Having bought a season’s worth of spices, I don’t know when I will get back to Penzey’s, but I will be going to Mancini’s again in the a few days. So, my cell phone rings while I am still at work and it is one of my great friends. There is the inquiry as to what I was doing after work, to which I answered that I was sitting at my desk — well past 5:00 PM — pondering what to eat. Food consumes — no pun intended — my free thoughts. What to eat? Where to eat? Do I drive there, walk, or take public transit to get the food source? Should it be quick or a dining experience where I can sit still and really enjoy my meal? My friend’s call snapped me out of my waffling at least such that I could think of a general location. There was a certain Italian restaurant where she and I had gone last summer. And talk about clarity, there was no case of introducing other options along with the Italian restaurant. It was off to 116 N. Oak Park Avenue in Oak Brook for a midweek escape to Il Vicolo. The temperatures were moderate enough that we wondered if there would be seating available outside. Once we arrived and there was a bit more bite in the wind than before we left our respective job locations — she coming from Oak Brook Terrace and me coming from downtown Chicago — it dawned on us that temperatures are not consistently warm until the last week of June. Nevertheless, we had a window seat and imagined the warmth of the sun as we watched pedestrians’ pass by with clattering teeth. Usually whenever my friend and I would catch up for dinner, we would never have wine or a “loaded” beverage during “school nights.” We reserve libations for weekends when we don’t have to worry about sleeping through the ringing of the morning alarm. However, I was in one of my “just bring it” moods and opted for some wine. In past posts I have mentioned that I have no wine snobbery. What I said to the server was that I’d relay what I like for possible dinner courses and she could surprise me with an accompanying wine accordingly. After my friend and I had given our requests, the server said that there would be a red wine that we both should try. 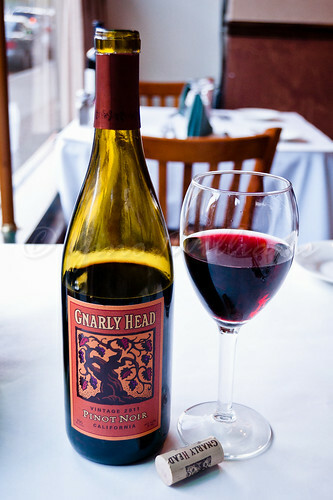 And, so there was a bottle of Gnarly Head, a Pinot Noir, brought to the table. There was a quick pour, a swishing around in the glass, a tasting, and a nod of approval, and then the glasses were filled. Bravo. With a basket of complimentary bread, fresh olive oil, parmesan cheese, and cracked black pepper, we enjoyed homemade Italian bread. One of the things about being serious with baking, I can tell when bread is fresh and when it has been purchased from a grocer or bakery. This bread came from the oven at Il Vicolo. That says something for authenticity and our devouring it was testament to our approval of not having perfectly prepared Sunbeam or Wonder bread put in front of us. 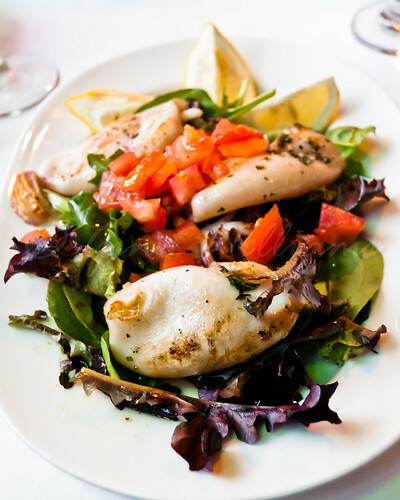 For a salad, we started with a grilled calamari salad that left us not wanting fried calamari ever again. Don’t get me wrong, as there are some restaurants where the fried calamari has been the absolute best. However, tender grilled calamari and baby octopus in a very light lemon garlic and olive oil served over a mixed green salad were fantastic. Next time I return to Il Vicolo, I will inquire as to whether they use fresh vegetables because the salad had the kind of flavour that pops, much like what I have had any time I have gone to the country where pesticides and growth enhancers are not used on the crops. The dining experience got into full swing with a tortino de melanzane. 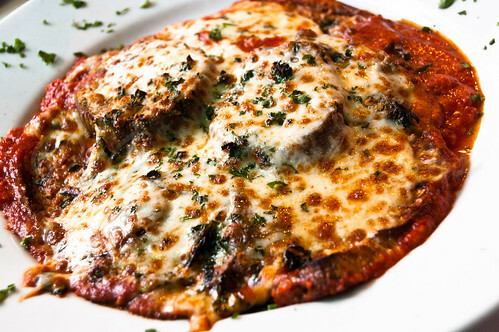 We all have had eggplant parmesan and have friends who swear that they, their mother, or their grandmother prepares the best eggplant parmesan ever. Whatever. You can have it. Give me tortino de melanzane. The baked eggplant was neither mushy nor crunchy. Goldilocks would even agree that it was just right. The mozzarella was not piled on so high that it introduced a choke factor. The tomato sauce was moderately chunky the way Ragu wished that jarred foolishness they sell was chunky. Again, full of flavour without the feel of salt on the tongue. And they included one of my all-time favourite highlights of cilantro. Now I was understanding fully why the Gnarly Head was the wine of choice per the server. The oak flavour was all the spice needed to complete the marriage with the meal. 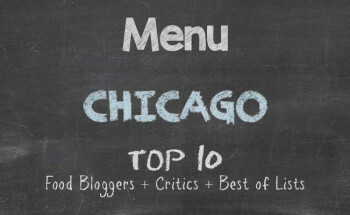 Listen to me sounding like a real food critic. Ha! 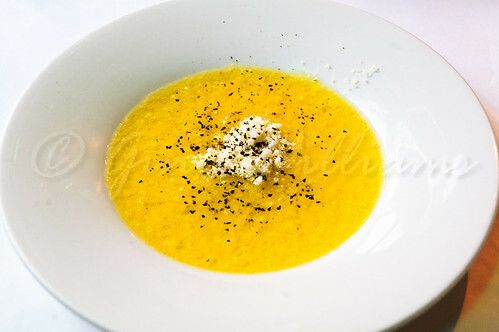 Italian cuisine may be known for a good mix of herbs and spices in the dishes, yet most dishes are not spicy. You don’t turn red in the cheeks after forking your meal into your mouth. Well, some people have mild constitutions and anything other than just salt has them screaming and putting on a show. I have been gaining weight slowly over the past few months, so I keep carbohydrates in my diet. Hence, I had pasta and this time I had a spicy penne arrabbiata. My first exposure to penne arrabbiata was with the purchase of a bag of it from Trader Joe’s. I was surprised that something frozen could taste so blooming delicious because food from the frozen section is saturated with ingredients that people use for trick words in spelling bees. Then after having penne arrabbiata at some Italian restaurants, it became a source of addiction. Well, the same can be said for the pasta dish at Il Vicolo. It was spicier than what I have had anywhere else, but that made it all the more appetizing to me because I love fire with my flavour. Each bite was bliss and rather than drowning the penne in the sauce, the sauce was more like an accent. Outstanding! By now my camera was starting to do its own thing. Buttons were inoperable, which really made it horrible for me being able to set the focus point for my compositions. Even resetting the white balance to account for the sunlight gone down was impossible. Sure, I should have been in the moment rather than photographing my food. But how else can I present impressions of my dining experiences to make you want to dash out to the restaurant? It would have been so unfair for me to leave out such appetizing photos. Alas, I could only muster so much and I put the camera away and made a note to myself to trash it when I got home. I have three other digital cameras that work without giving me grief. The cheap one I used for these shots was disposable. My friend had ordered pappardelle gamberi e funghi. I don’t particularly like to have my friends wait for me to finish snapping away with my camera because ticking off close to a hundred shots per dish could mean having fork up lukewarm food. So, I missed capturing her dish of tasty homemade flat pasta with shrimp and mushrooms in a fresh tomato and basil sauce. This is one dish that I have yet to have all to myself and I must return to for that very purpose, per my friend’s recommendation. We wrapped up with coffee and dessert. The coffee had a robust flavour, yet it required very little sweetener. And there were the desserts. 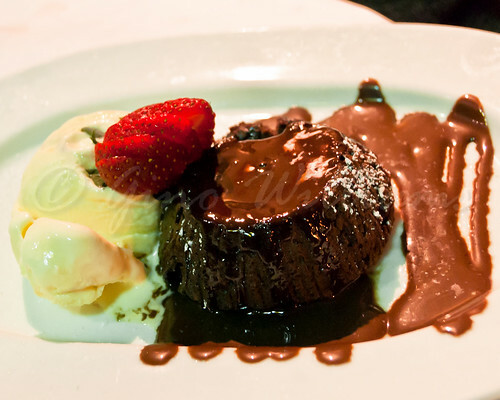 Instead of the ubiquitous plate of tiramisu or cannoli, my friend had chocolate lava cake and I had nocciola. The chocolate lava cake, which had a preparation time of eight minutes, apparently was a big hit with my friend. Then again, the last time she had cake was earlier in April for her birthday, thankful that Easter had passed and sampling a dolce was not a frowned-upon option. I had it before and agreed with her expressions that indicated it was a worthy dessert. 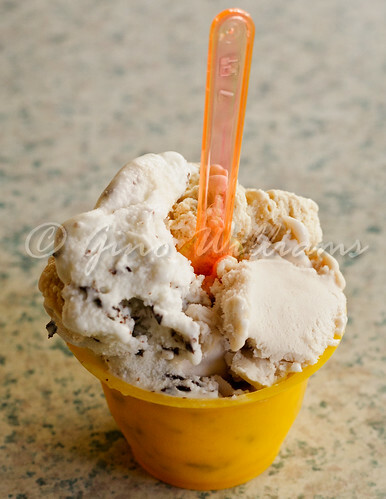 The nocciola was certainly real gelato. You can’t buy that flavour in the frozen dairy section of your local market. You just can’t. On weekends, Il Vicolo has a tendency to fill up quickly. Once you have had any of their dishes or interacted with the wait staff, you understand why. The prices of the dishes are far from exorbitant. Of all the times going, I have not had a dining experience that resulted in me leaving dissatisfied. If anything, I always make plans for a return visit. If you go on the weekends and for the evening courses, make a reservation. Trust me when I say that you will not want to stand around watching plates boasting flavours and aromas that cause drooling. You will want to work your knife and fork on some morsel without delay. As for me, I do believe a midweek escape to Il Vicolo is in order for the near future.